This is the 2016 calendar. For 2017 “spirited” events, click here. RESERVATIONS required for all events unless otherwise noted. Click here to purchase tickets. Photo by Hal Hirshorn. . Including rarely exhibited items of Tredwell family mourning dress and accessories from the collection. Step back in time to 1865, when family patriarch Seabury Tredwell died at home in his second floor bedroom. Poignant scenes of death and grief recreated in the House will explore mid-19th century mourning customs. Pay your last respects at his deathbed upstairs, or join the mourning in the double parlor, hung with black crepe and set for a mid-19th century funeral. Also on exhibit, Tredwell family photographs and mourning attire and accessories, including jewelry made of hair and jet, a black net veil, several bodices and shawls, and two 1870s mourning gowns. Included with regular admission; reservations not required. Tuesday, October 11, 6:30 p.m. SOLD OUT! You’ll learn about the tools in the paranormal investigators arsenal, the difference between a ghost and a haunting, orbs caught in digital photos, and what’s hokey and what’s not. You’ll hear disembodied voices caught on tape, see startling photographic evidence, and hear the latest unexplained incidents experienced by Sturges and others. Sturges will reveal the most extraordinary aspects of his Merchant’s House investigations, providing numerous details never before shared with the public. The evening concludes with a spirited Q&A session. $20, $15 MHM Members. Take part in a paranormal investigation! Click here (scroll to bottom of page) to purchase raffle tickets. The Winner and a Guest will participate in a real paranormal investigation of the Merchant’s House Museum led by Dan Sturges the Historic Paranormal Research team. Friday, October 14, 7 p.m. Ghosts, ghouls, and goblins haunt the lyrics of the 19th century. Come be spooked by these harrowing tales as the Bond Street Euterpean Singing Society bewitches your imagination and sings shivers down your spine, echoing sumptuous, rarely performed songs in an authentic period parlor. Singers Anthony Bellov, Amy Gluck, Jane Elizabeth Rady, and Dayle Vander Sande. Music by Schubert, Liszt, Debussy, Duparc, Loewe, Mussorgsky, Humperdinck, and others.and others. 75 minutes. $30, $20 MHM Members. Spiritualism was all the rage in the mid-19th century, as rational scientific discoveries provided fewer supernatural and more natural explanations for the universe, leading people to seek evidence to support their religious beliefs in both life after death and the existence of the soul. Were they hallucinations, or uncanny ripples from the other side? Paranoid delusions, or otherworldly phenomena? 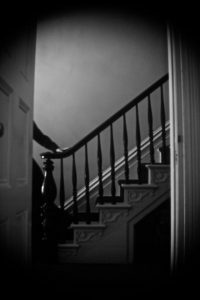 We invite you to venture into the unknown with renowned mentalist and magician Kent Axell as we recreate a 19th century seance, sharing the stories and haunting history of the house — and inviting to join us those watching from the shadows. $50. $40 Members. Limited to 13 guests. Updated with the latest eerie happenings! Eight family members died in the house; their funerals were held in the front parlor hung with black crepe. We invite you to venture into the dark and ghostly shadows of history by flickering candlelight to hear chilling tales of restless phantoms, voices calling into the night, and otherworldly occurrences from the people who actually experienced them. 50-minute tours begin every half hour from 6:30 to 9:30 p.m.
2016 GHOST TOURS ARE SOLD OUT. ALL WAIT LISTS ARE FULL. Click here for 2017 Ghost Tour info. 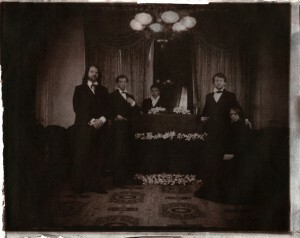 Sunday, October 23, 4 to 5:30 p.m.
From Parlor to Grave: 1865 Funeral Reenactment and Graveyard Procession SOLD OUT! In the 19th century, death and funerals took place at home. Join us in the Museum’s double parlor as we recreate the 1865 funeral service of Seabury Tredwell and discuss the funerary customs of 19th century New York City. After the service, mourners follow the coffin to nearby New York City Marble Cemetery – rarely open to the public – for the graveside service and cemetery talk. 19th century mourning attire is encouraged. VIP tickets include front-row seating, black armbands (and the opportunity to lead the graveyard procession as a pallbearer). $40, $55 VIP Seats, $25 MHM Members. 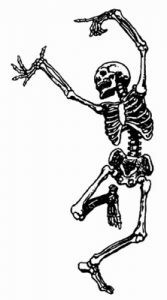 Monday, October 31, 7 p.m.
Tales from the Crypt: Horror on Hallowe’en SOLD OUT! 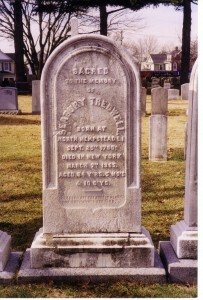 Patriarch Seabury Tredwell has died. His coffin sits in the front parlor surrounded by lilies and flickering candles; black crepe covers the mirrors. Join us for dramatic readings from the darkest of 19th Gothic literature and true ghost stories of the unsettling and unexplainable as reported by museum visitors. $25, $15 MHM Members. RESERVATIONS required for all events unless otherwise noted.